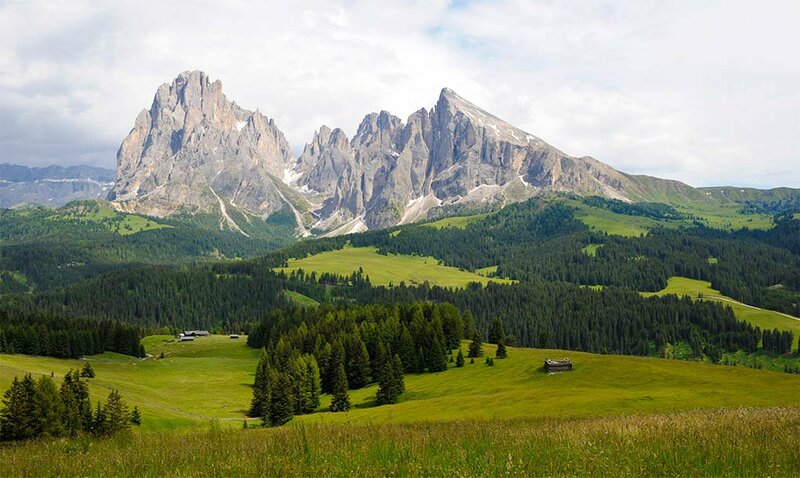 Admire the beauty of the Dolomites, enjoy the closeness of nature und discover the rural world of South – Tirol – a holiday on a farm in South – Tirol is a very actual trend. 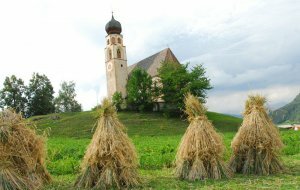 In a region especially suited for holidays, the “Seiser Alm”, one finds the Mesner Farm in a dreamlike setting, close to the picturesque village of “Völs am Schlern”. 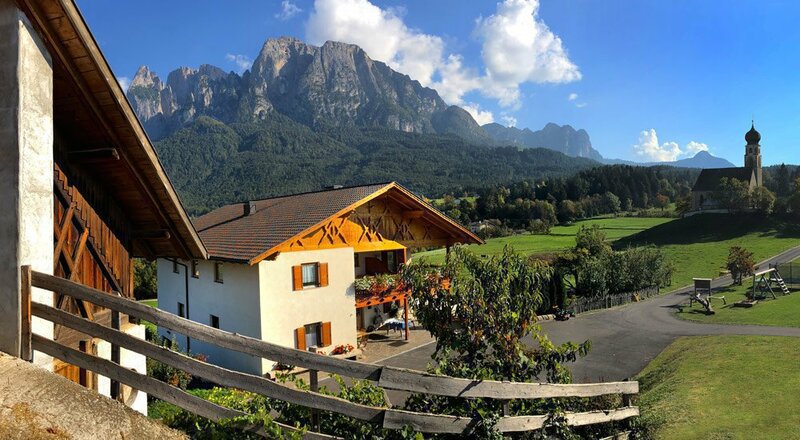 This farm offers an unforgettable experience in the Dolomites .The newly constructed traditional wooden house is positioned at the feet of the impressive mountain called the „Schlern“ – the landmark of South – Tirol. It is located in the midst of blossoming meadows and offers an impressive view on the “Seiser Alm” and the mountains of the Dolomites. 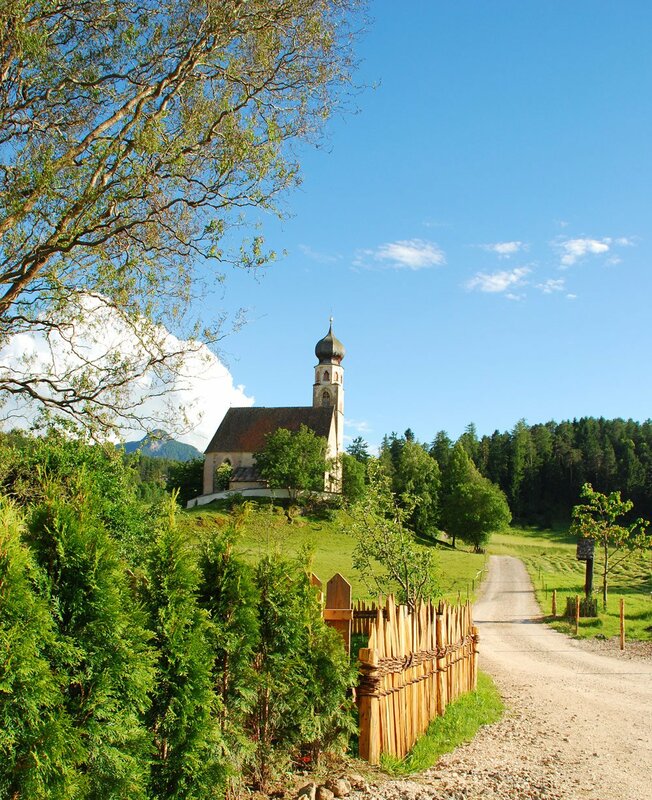 A holiday on a farm in „Völs am Schlern“– the eventful adventure in the Dolomites, South- Tirol. The “Seiser Alm” is, without doubt, the most beautiful and, at the same time, the highest alpine pasture in Europe. Those who love Nature, find in the Dolomites a true paradise for Outdoor activities. The skiing area “Seiser Alm” enthrals through its variety, the dreamlike winter landscape and the wide range of activities for families. 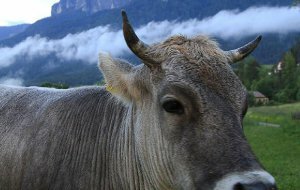 Hikers find in the Dolomites and the area of the Schlern true satisfaction. The hiking trails are a real treat, with beautiful views on the impressive mountain peaks and the many mountain cottages, one encounters along the way, have their own charm. In addition, a holiday in “Völs am Schlern” offers many more attractions, like the castle in “Prösels”, the enchanting lake called “Völser Weiher” and the “Kastelruther Spatzenfest”, a festival dedicated to the well known band, playing traditional music, called “Kastelruther Spatzen”. 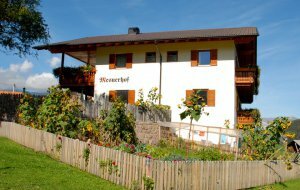 Our comfortable and homely furnished Holiday apartments located in “Völs am Schlern” are spacious and equipped with all modern amenities. The view from the Holiday apartments, looking at the “Seiser Alm” and the Schlern/Dolomites is overwhelming and the panoramic view reaches as far as the “Eisacktal”. A very special treat are the homemade products, such as beacon, eggs, milk, fruit juices, jams and fruits. Try all those genuine things and discover the difference. Of course, we love to serve you a real, traditional farmer’s breakfast. In the morning, we serve you our rich farm breakfast with home-made products, such as crisp oven bread, fresh eggs, hearty cold cuts, mountain cheese, wildflower honey, fruity jams, and other delicacies, which will guarantee a great start into your vacation day. If you wish to book a holiday apartment with half board, we will be happy to serve you not only a delicious breakfast, but also a tasty dinner. The meals are prepared with home-made and regional products. Tender meats from our own cows or potatoes fresh from the fields, at the Mesnerhof you may discover the genuine taste of the region. You will simply love the delicacies of the South Tyrolean kitchen! If you are looking for something very special for your wedding, we can be of help: Nella romantica chiesetta di S. Costantino allo Sciliar potrete vivere un matrimonio indimenticabile sullo sfondo di un panorama alpino da sogno. 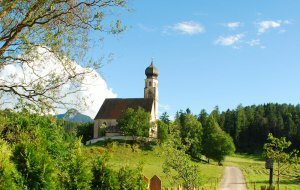 In the little church of St. Konstantin in Völs you will experience an unforgettable marriage surrounded by our wonderful mountains.The wedding of your dreams, combined with your honeymoon on a farm in the Dolomites -. an unforgettable experience in South Tyrol. Autumn in South – Tirol is the season for the traditional „Törggelen“ You will enjoy typical South – Tyrolean dishes, taste the new wine, take pleasure in the joyful atmosphere and listen to the entertaining sound of traditional music. Everywhere in the area of the „Seiser Alm“ the typical Inns, called “Buschenschänke“, invite you to the traditional „Törggelen“ during your autumn holiday. Everybody in the German speaking parts of Europe knows the local band from Kastelruth called „Kastelruther Spatzen” Each year the superstars of traditionalmusic invite their fans to the legendary festival in “Kastelruth”/”Seiser Alm”, known as “Spatzenfest”. 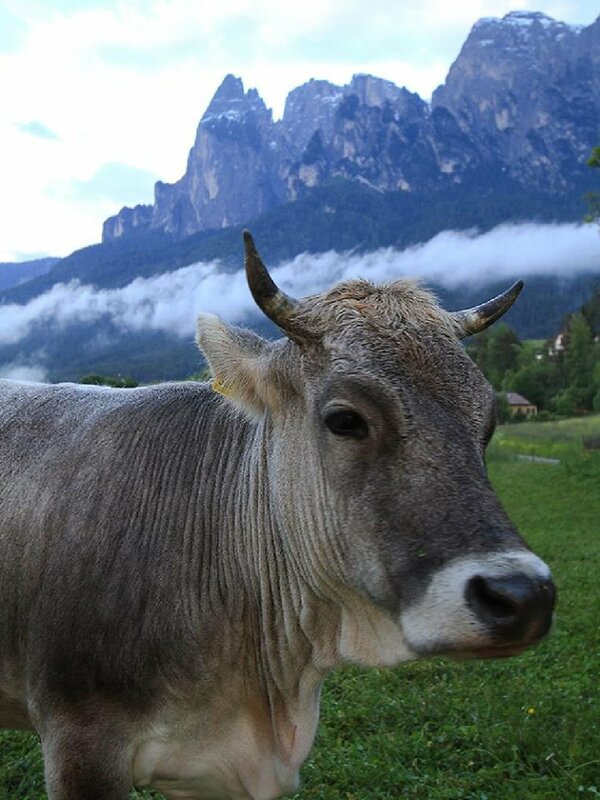 Holidays on the farm “Seiser Alm“area / Dolomites with Holiday-apartments in Völs am Schlern at the “Mair” family. We give you a wholehearted welcome.